Liquid circulation baths have been used for decades for calibration of Temperature Sensors,Temperature Gauges and Thermostats. It is easy to achieve uniformity and homogeneity of temperature within the liquid by stirring it. This stirred medium when heated, using immersion type electrical heaters and controlled using an accurate precision temperature controllers acts a stable heat source. This stable heat source is used for calibration. 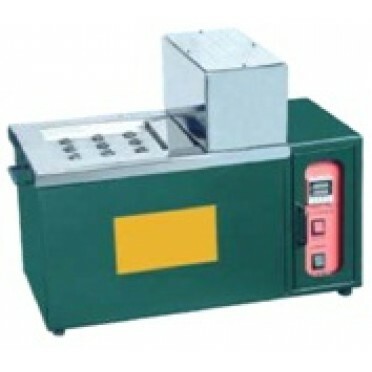 Temperature Calibration in the industry is normally done by comparison Technique.The Unit being calibrated is immersed in to a stable heated Cooled medium along with a sensors of known accuracy and the reading of both are compared to find out the temperature deviation . Weight : 35 Kgs. With Oil. Accessories Standard : Instruction Manual. Weight 35 Kgs. With Oil.